When you purchase seafood, do you take the time to talk to your grocer or fishmonger about the freshness and quality of their fish? If not, you could be missing out on some valuable information. We put together a list of the questions you should be asking if you want to ensure you’re getting the best fish possible. Next time you shop for seafood, be sure to strike up a conversation with the person behind the counter. You may learn some surprising information. When Did the Fish Arrive in Store? The fresher the fish, the better it is, so ask your grocer when it arrived at the store. This is one of the quickest ways of knowing the freshness level of the fish. While all the seafood may look fresh, a study found that some supermarkets were displaying seafood that was nearly three weeks old. Your grocer should be able to tell you when the fish was caught, how long it traveled to reach the store and the day it arrived at the seafood counter. If they can’t tell you when it arrived, that’s a big red flag. If the fish has been hanging around a little too long for your liking, try going with a different option. Or, you can head to the frozen-food aisle and find a sustainable variety of frozen seafood, such as lake-grown Tilapia. Is the Fish Sushi Grade? Making your own sushi is lots of fun, and it often costs less than getting takeout from your local Japanese restaurant. However, not all fish is suitable for sushi or safe to eat raw. 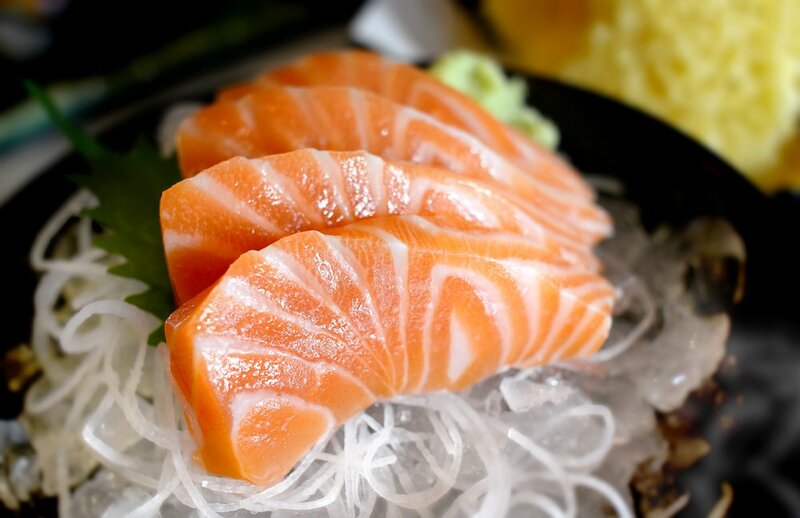 Before you start your sashimi feast, be sure to ask your fishmonger if the type of fish you wish to purchase is sushi grade. Fish that is sold with the intention of being eaten raw must be frozen for specific periods of time at particular temperatures in order to kill any potential parasites that are otherwise killed by the heat from cooking. What’s the Cause of Any Recent Price Fluctuations? If you visit the seafood counter on a regular basis, you may notice the price of some fish fluctuates on a frequent basis, dropping to crazy cheap prices, or skyrocketing to a much higher cost. Ask your fishmonger about what causes big price changes—or even ask why any fish costs what it does. This helps you learn more about seafood and its seasonality. For example, seafood may be cheap because the fishmonger has a surplus of it, because it is in season or because the fish has been there a long time and they need to sell it all fast. On the other hand, expensive fish may be a sign of freshness, but it could also mean that the fish was flown in from a far distance or is out of season. There’s no way to know for sure until you ask. If you usually stick to one particular type fish, branch out by asking your grocer or fishmonger what they recommend and their favorite way to cook it. Most fishmongers are truly passionate about their product and want you to be happy with your seafood purchase. Asking them for recommendations based on your unique preferences is a great way to learn about seafood and build a relationship with your fishmonger. 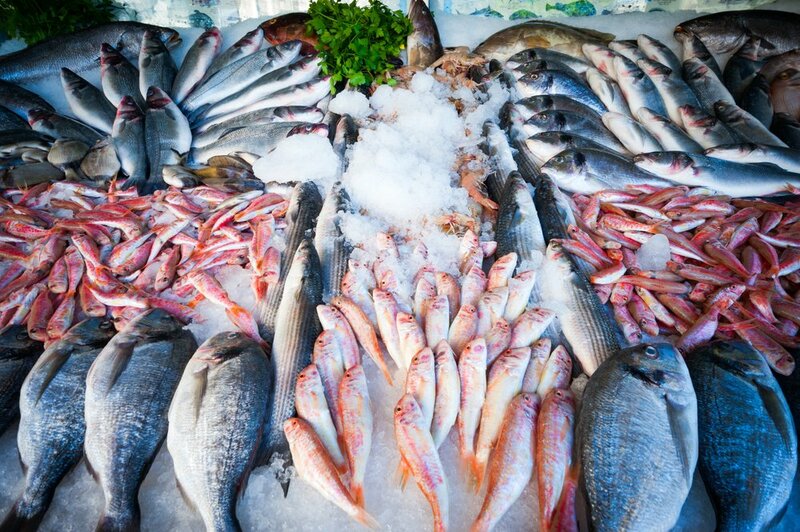 Next time you purchase fish, ask your grocer or fishmonger a few questions about what they have behind the counter. That way, you feel confident the fish you purchase is truly fresh and of the best possible quality. Check out this article to learn more about picking out the best seafood at the supermarket and questions you should ask your fishmonger. Photo credits: PickOne / Shutterstock Inc., NPDstock / Shutterstock Inc., Yarygin / Shutterstock Inc.